I’m a little late to this, but I did have one awards-eligible publication last year, so I’d love it to be considered by anyone who’s reading and nominating. My 6,000-word sci-fi story, ‘The Convincer’, was published in the November edition of Galaxy’s Edge. I’m honoured that it’s made the Nebula Reading List. An invasive interdimensional alien race justifies their abuse of humans on the grounds that humans lack the aliens’ abilities and comprehension. One alien dedicates herself to ending this injustice, but reaches an impasse until a remarkable human appears and brazenly countermands the status quo. This story portrays my still-recurring themes of women scientists and humanity from a non-human perspective, and I hope it holds something of a mirror to our continuing poor treatment and disregard for species other than our own. As of this post, it’s still available to read for free on the website, but will likely be archived soon. I am more than happy to email a copy to anyone who’s reading for awards this year – please let me know in the comments, or email me at proofyourwork [@] rocketmail [dot] com. My contributor copies arrived this week, and they are gorgeous. So delighted that one of my stories has made it into something this pretty! If you want to get your hands on one (and, honestly, why the hell wouldn’t you? ), order here or ask in your local bookshop. And now, if you’ll excuse me, I’ve got robot stories to read. Time for an update, seeing as there are things to report! I finished the novel revisions. *victorious* (This round, at least.) Completing them was a great relief whilst slightly daunting, wondering if I’ve done enough and knowing that the next step is to get a submissions package together and start querying agents. But, yaaay! The first draft is no more! Now to rewrite the entire thing using only 2% of the words. Synopsis time… sigh. I recently sold my flash story, ‘What the Sea Reaps, We Must Provide’ to Diabolical Plots. It’s about seaside towns, and dogs, and sacrifice, and I’m really happy it’s found such a great home. I can’t wait to share it when it’s out next year. 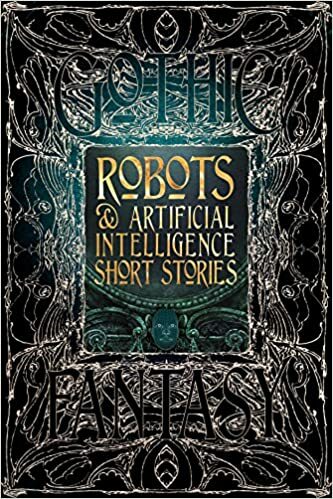 And Flame Tree Publications’ Robots and Artificial Intelligence anthology, featuring my story ‘Daddy’s Girl’ amongst a host of others, is now available for pre-order! These anthologies are beautiful hardcover books, gorgeous on shelves or as gifts or just to lovingly gaze upon. This title is out in September in the UK, and apparently November in the US (according to Amazon). If you want a copy, get your orders in now! Ahhh, novel revisions. Feedback has returned, notes have been made, and I am currently wading through it all while fighting the almost constant urge to procrastinate. Once I get in there and start making changes, it’s fine, but actually making myself get on with it has been harder than I anticipated. It feels so daunting from the outside, but once I’m immersed in the manuscript I realise it’s really not so bad after all. Revising stories has never been my favourite part of writing, but it’s always incredibly satisfying once it’s done. That feeling of pruning, shaping, polishing. Adjusting this and that to get the story just right. Adding details here, cutting extraneous words there. It’s a great feeling when it’s working. Novel revision is an order of magnitude greater than revising a short story, mind you. And I don’t even have anything massive to change here. There’s nothing glaringly wrong (which was a relief), but there are a cluster of things that, once implemented, will definitely enhance the story. It’s weaving them in that’s the tricky bit. I’ve been here before, but it’s never felt quite as momentous as this. Maybe because this novel feels so different from the previous ones. Maybe because it’s that much more personal. I have a need to do this one justice that didn’t strike me the same way with the others. Maybe I just believe it in more. I recently sold my apocalyptic/parallel universe/love story, ‘Doomsday in Springtime’ to Galaxy’s Edge. I wrote this flash story several years ago and it’s always been a surreal little piece of my heart, so I’m delighted it finally found such a great home. 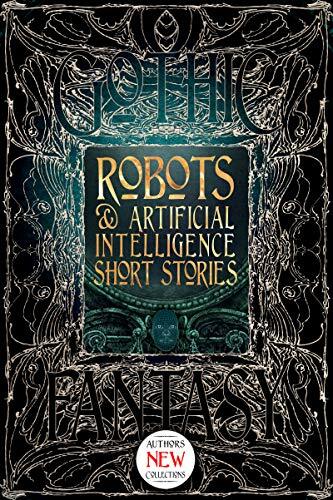 And I’m now free to announce that ‘Daddy’s Girl’ will be appearing in the Robots and Artificial Intelligence anthology from Flame Tree Press. 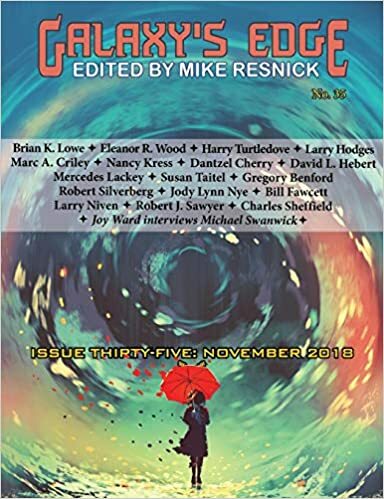 This is this story’s third sale, although its previous outings were online and in audio, so it’ll be lovely to have it in beautiful hardcover format alongside a wondrous lineup of fellow contributors. Check out the fabulous list on Flame Tree’s blog. It’s also my first-ever sale to a British market, which has long been a goal of mine. There’s something special about selling a story in my own country (and whoa, getting paid in my own currency… fancy that). The anthologies that Flame Tree produce are beautiful books, and I couldn’t be happier for one of my stories to have found a home here. It’s due for publication in September, with pre-orders available from August. Watch this space for updates! Earlier this month, I got to host an episode of PodCastle for their annual Artemis Rising event. I’ve been an associate editor (slushing, proofreading) there since January 2017. It’s so great to experience the other side of the editorial process, and the PodCastle team are a magnificent bunch of people to work with. But this was the first time I’ve been out there in front of our audience. Eep. The story I hosted (‘Scar Clan’, by Carrow Narby) was my favourite from the Artemis Rising call (and its sister stories – one released each week in March – are all amaaaazing, so this is high praise indeed). It was an honour to be able to introduce it and share my thoughts on what I loved about it. You can listen to the episode here, where the story is also available in full in text format.